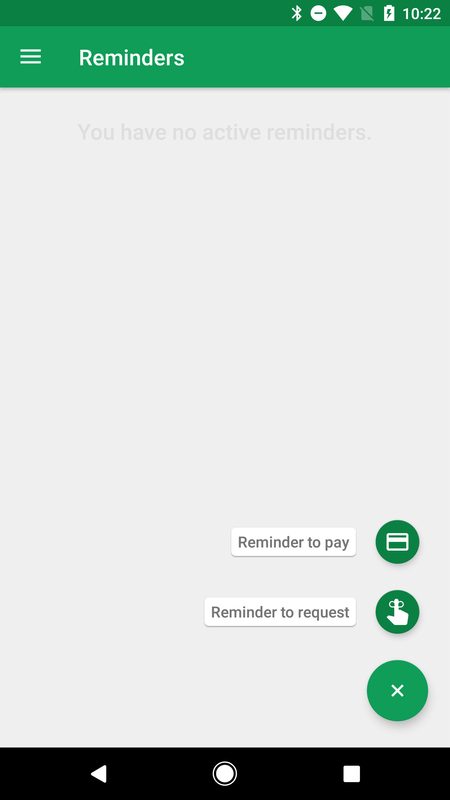 The Google Wallet app hasn't seen a lot of activity in a while, but an update began rolling out late yesterday that shows that there's still quite a bit happening to the app. Version 21 brings a number of visual enhancements that make the app look a bit cleaner and not quite as formal. 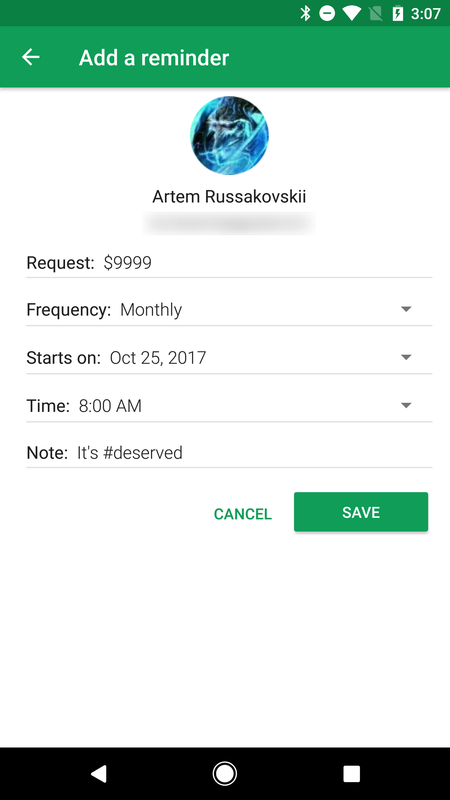 Under the covers, a teardown also shows that the Wallet developers are about to launch multi-person money requests for those times when everybody splits the cost, a new reminders system to keep you from forgetting to take care of business, and confirms Android Messages integration is coming soon. There aren't really many functional changes to find in this update–or at least they aren't live yet–but there are some visual adjustments that make the whole interface look a bit nicer. The main screen now uses a fully black number for send/request amounts and there's finally an icon for money transfers. The list of transfers can now also show a few lines of text from the notes field. The only complaint I have is that dates no longer include a year, but that probably doesn't matter if you use Wallet a little more often than I do. Detail screens for individual transactions have gone through an even more significant redesign. In general, they don't look like a bank form anymore. The amount and note field are now front and center–they're quite literally centered. The rest of the details of the transaction have been pushed down to the bottom of the screen and given icons for easier reading. The one functional addition you'll probably notice is the presence of a button to create a new request for money. Tapping it will set up a new request for the same person with the same amount filled in. You can change the amount or write a note if you like. Google Wallet is a convenient tool for getting paid back if you go out to lunch with somebody and you end up paying for them if they forgot money at the office. It only takes a minute to pick a contact and enter an amount for them to repay. It's not quite as convenient when everybody in your office agrees to split the cost of holding a birthday party. All of those requests have to be sent one-at-a-time. 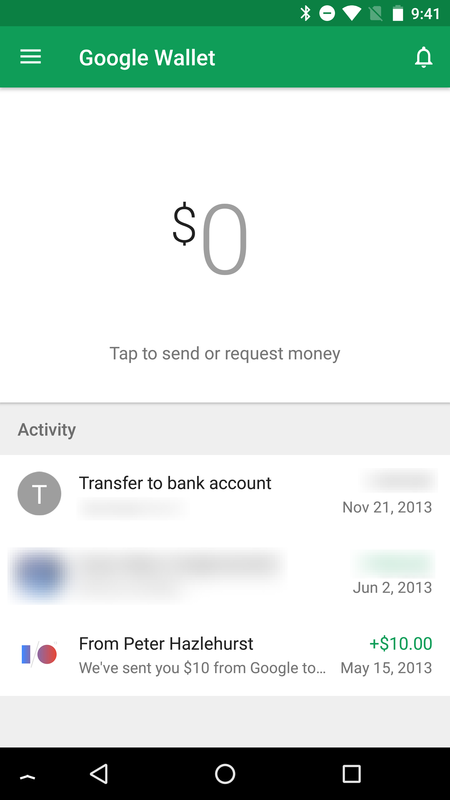 However, that won't be true for much longer, Google Wallet is about to get multi-person money requests. There's actually not much to say about this feature, it looks to be basically the same as the current money requests, but it allows for asking multiple contacts to send money. The one notable difference is that Wallet will tell you how many people were asked for money and it will calculate the total amount you're asking from the group. The one thing I'm not really sure about is whether or not the group request will be turned into individual requests once it's sent. I bring this up because I see no sign that there's an interface for keeping track of which people have paid and which ones are delinquent. Otherwise, requesting money from multiple people at once will probably be enabled fairly soon. I know, we all thought we were done talking about 'reminders' this year, but this is different. I promise. 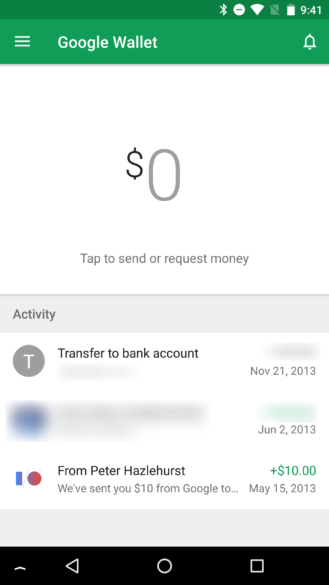 Google Wallet is adding a screen where we can set up reminders to either request or send money. 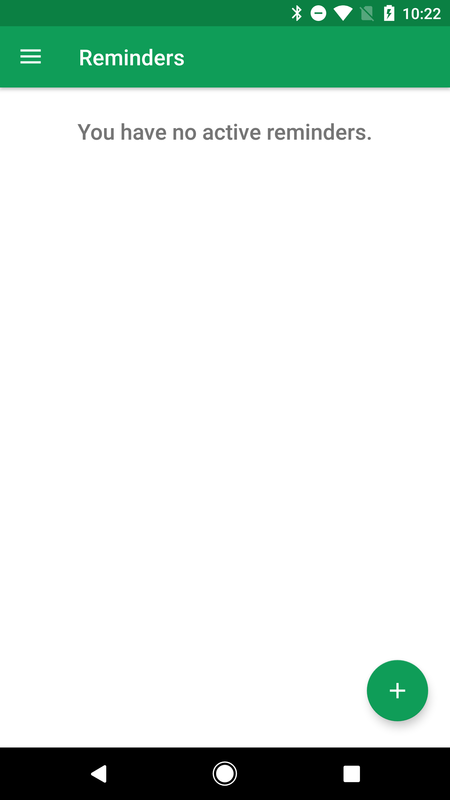 Reminders are created with the same fields as a regular send/request transaction (e.g. recipient, amount, and a note), but also allow you to define a date and time when the reminder should happen, and also a schedule if this is meant to be a recurring transaction. Options for frequency are: Once, Annually, Monthly, Bi-weekly, and Weekly. The interface is actually live already, but it doesn't appear to be fully functional yet. By launching RemindersListActivity, you can get to the screens shown below. The main screen for reminders will show a list of everything you have coming up, and a FAB at the bottom right contains options to create requests or to pay somebody. 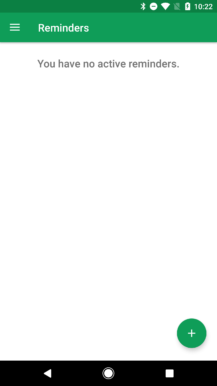 You can even go through the process of creating a reminder, but it currently vanishes after hitting the button to save it. Reminders will be useful for things like handing out an allowance or paying off debts, though it's probably the people that want to collect debts that will be more keen on using them. 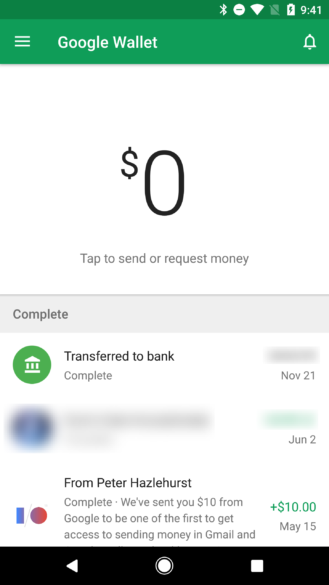 Last month, a teardown of the Android Messages app hinted that there would probably be some built-in feature to allow people to quickly send or request money over SMS. The text was vague and left room to question if Google Wallet would be the service that enabled payments; but with this update, it's safe to confirm exactly that. 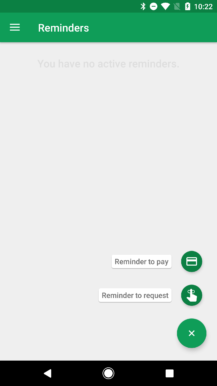 Google Wallet is getting integration with the Android Messages app. The promo text below explains how it works. To send or request money, all you have to do is open a chat with somebody and add a payment or request as an attachment. From the sound of it, you should be able to send payments or requests without ever switching apps. Google Wallet already supports sending money to a phone number via SMS, but requests for money are only allowed with known contacts and email addresses. It's not clear if Android Messages will change this behavior or not.